In the Metro Black Light Theatre on Národní třída, every performance is followed by an interactive workshop. Come and experience this form of black light theatre, which is quickly winning its followers because it uses communication and language without any barriers. 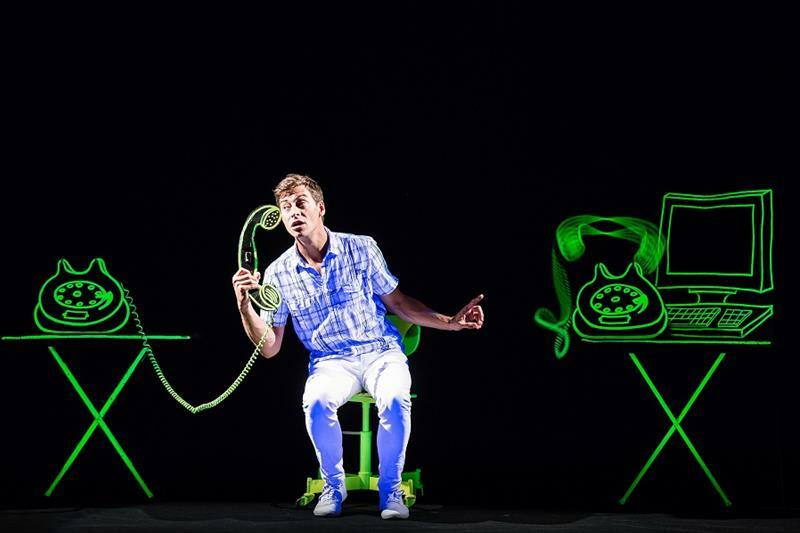 František Kratochvíl’s new original approach to black light theatre will take you through common-day experience and ordinary life. This performance combines several principles of black light theatre into one non-verbal performance. 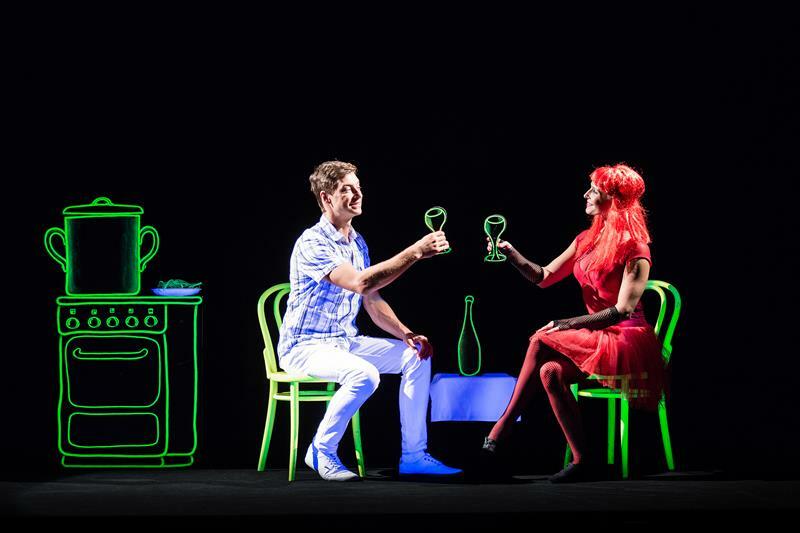 It is a blend of basic three-dimensional black light theatre, comedy, dance and pantomime. 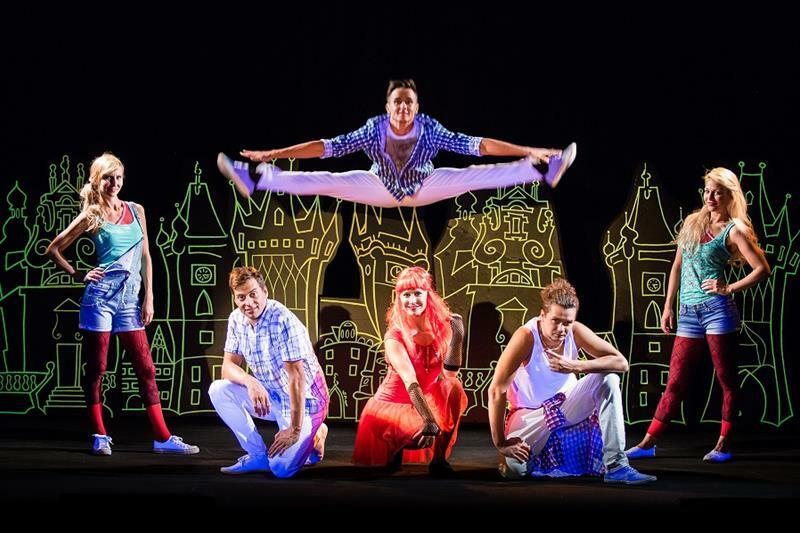 Slapstick comedy is followed by the poetry of drawn black light theatre, contemporary dance pieces alternate with classical ballet and all this is linked together by the performance of the main characters. It is an interactive performance and the spectators are welcome to take part in the show. Tickets purchased at Prague Ticket Office will be exchanged for the numbered seats tickets at the theatre entrance. The seats are allocated by the organizer. Prague Ticket Office brings to you a complete Program of Prague black light theatres. František Kratochvíl - the founder of the Metro Theatre - presented The Cartoon Theatre in 1975 and since then it has entertained audiences both home and abroad. In 2002, the Cartoon Theatre of František Kratochvíl (also co-founder of the first black light theatre in Prague - Srnec Black Light Theatre) moved from Reduta to the Metro Theatre and thus began its next stage under the name of the Black Light Theatre METRO. At the same time František Kratochvíl started to write a new performance, this time in a close collaboration on direction, screenwriting and choreography with Michal Urban, the director of the theatre. The results of this collaboration are one of the most successful black light theatre performances in Prague "LIFE IS LIFE" and "DEJA VU". The theatre founder's approach combines several principles of black theatre into one non-verbal performance. 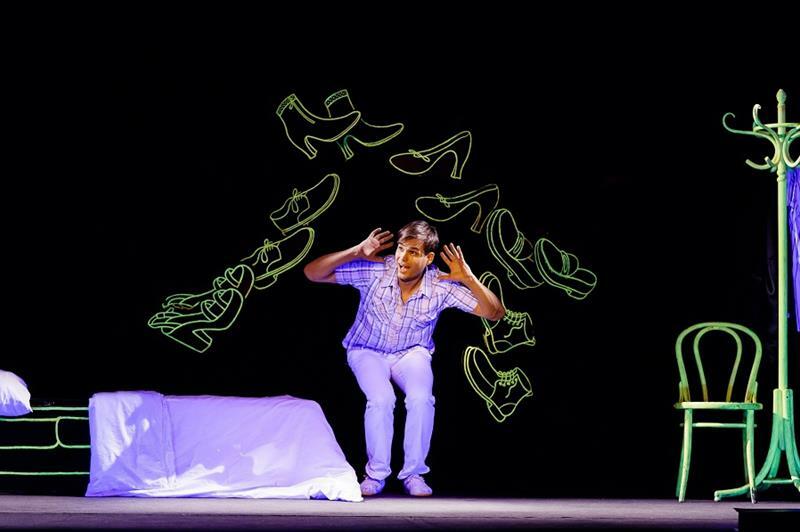 It is a mixture of basic three-dimensional black light theatre, comedy, dance and pantomime. Contemporary dance alternates with classical ballet. 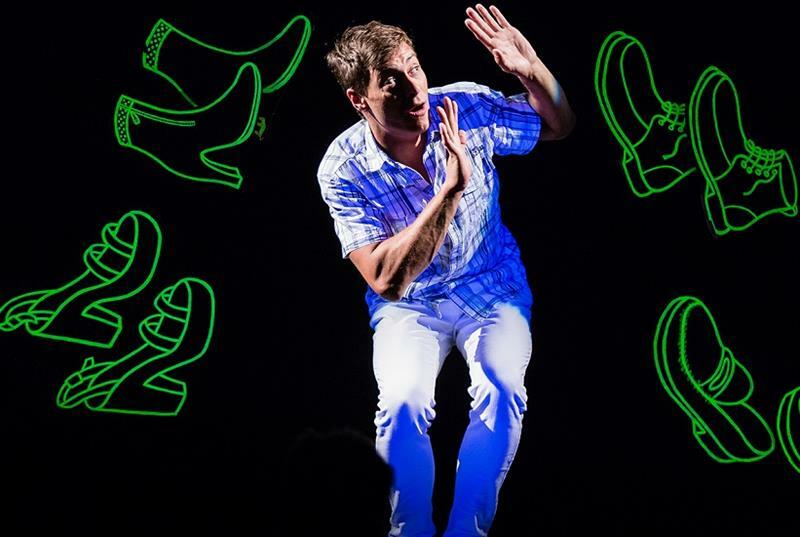 Each performance is followed by a short workshop during which viewers can see technology of some black light theatre effects. Both performances are partly interactive and during the workshop the spectators can try to act in the blacklight theatre. Black Light Theatre Metro is located in the basement of Metro Palace (built 1919), an important cultural and commercial building in the center of Prague. Nous avons passé un magnifique moment, plein de poésie, de rires. Un grand bravo aux acteurs pour leur performance.